Battery back-up system for Delta for V4 & V6 & Foul Pumps (see spec), providing security in event of power failure. The Delta Hi-PowerMaxx provides battery backup for larger pumps such as the V4, V6, Foul and BespokeV3 basement pumps when there is a loss of mains power. If the pump loses power, the battery backup system kicks in and keeps the pump running (see spec for guidance on cycles per pump on the battery back up system). 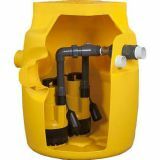 This allows the sump pumps to continue to safely discharging water from a basement even during a power cut. 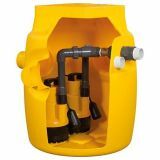 The Hi-PowerMaxx battery can run primary and secondary ground water and foul pumps without mains power for over 10 days depending on the number pumps and cycles per hour. It can sit in standby mode for at least 50 days and is virtually inaudible. Installation is simple. Hi-PowerMaxx is free standing and can be installed in any dry ventilated area. As this unit is fitted in the power line, no additional electrical spurs are required. Note: This unit is designed to power Delta V4, V6, Foul and BespokeV3 basement pumps. 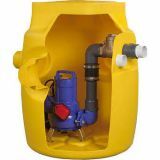 It is not suggested this unit is used with other manufacturers pump stations. Battery backup for larger pumps such as the V4, V6, Foul and Bespoke. Standby mode for 50 days. Capable of running both primary and secondary pumps. Provides 13 days pump time based on 1 cycle/hr of a V6 pump. An electric charger keeps the Hi-PowerMaxx battery-backup fully charged so it’ll be ready at any time. Internal trickle charger keeps the unit fully charged so ready whenever there is power failure. The Hi-PowerMaxx will automatically recharge when mains power returns. 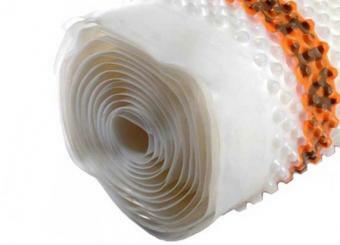 Free standing and can be installed in any dry ventilated area. Part of the MaxxConnect family and can be used in conjunction with the AlertMaxx2. A direct replacement for previous versions.